The San Luis Valley is a spiritual and intriguing place that spans more than 8,000 square miles in Southern Colorado and into New Mexico. 100-mile views of mountains, sand dunes, and valley floor are just the beginning of what can be explored in this more remote part of the state. 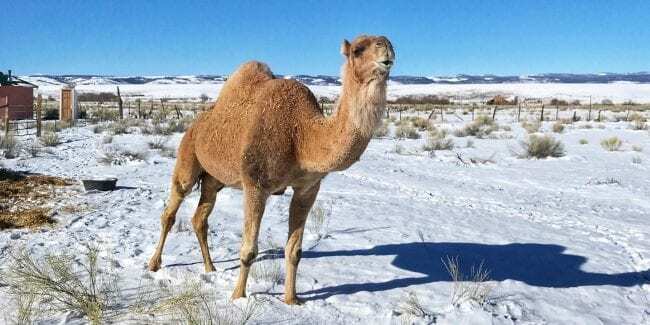 Home to an alligator farm, the Great Sand Dunes National Park, alien sightings and a cave of bats, now you can add staying on a camel farm to the list of strange and unusual things to do in the San Luis Valley. 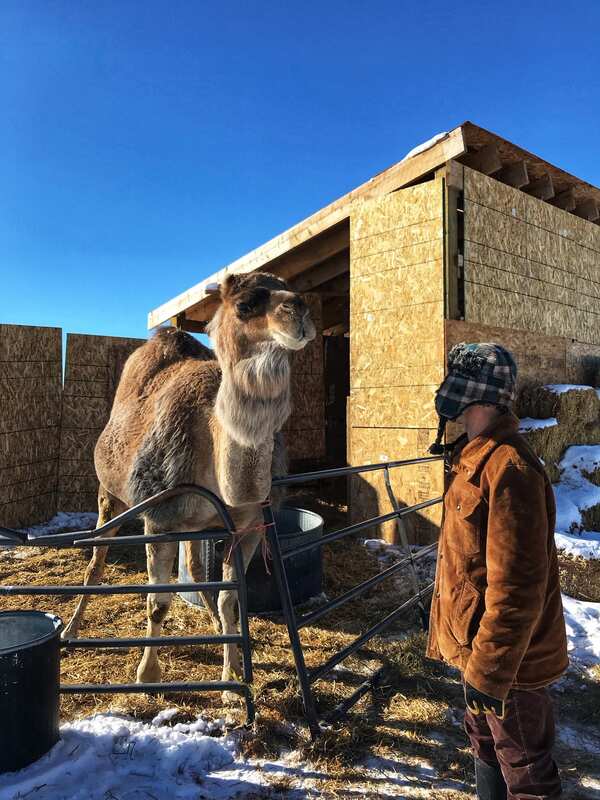 Located in the small town of Capulin, CO – 250 miles south of Denver, near the New Mexico/Colorado border, is a local camel farm where travelers can experience rural life in the San Luis Valley. The hosts, Megan and Matt, quit their “9-to-5” lifestyle and moved out to Capulin with their camels, donkeys, and sheep in tow. Set out to make a better life for themselves, they invite others to discover their easy way of life on the farm. To get the full experience, book a night or two on the farm. Accommodations include a cozy and comfortable retreat in a camel-themed yurt. With a Queen-sized bed, futon, wood-burning stove, and ample amenities to make your stay more pleasant – glamping at its best. 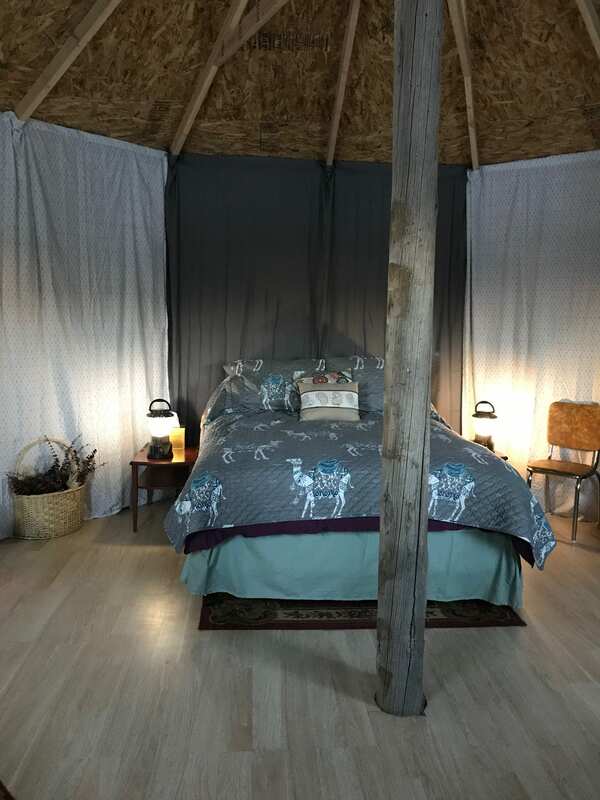 The yurt is available to book on Airbnb. With special touches like the complimentary bar of camel-milk soap, made by Megan herself, and the oversized book of “ From Alice to Ocean” – one woman’s journey across the Outback with her camel, one can’t help but fall in love with this peculiar place. A tattered guest book rests on one of the nightstands, with signatures and thank you’s from past guests, who have come from all over Colorado and beyond to visit this remote corner of the world. 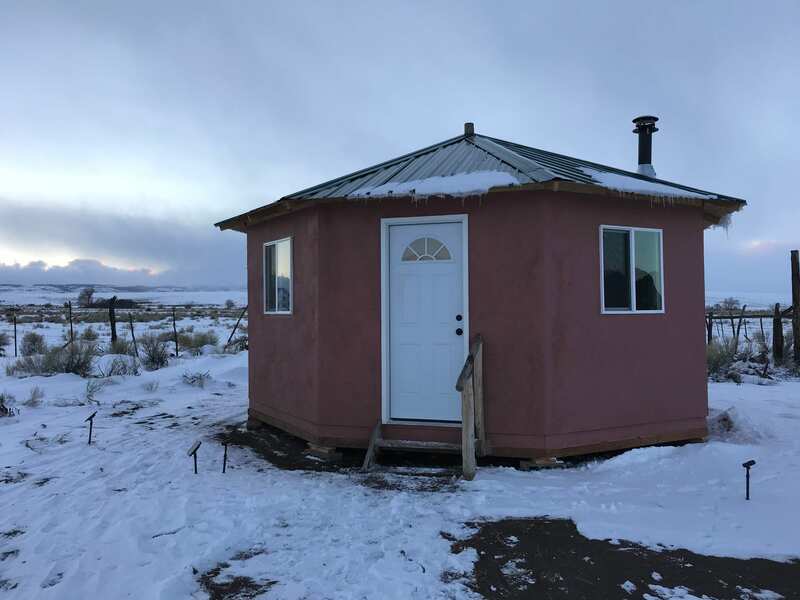 Guests are able to rent out the on-site yurt for a nightly rate – hard-side in the winter and soft-side in the summer. A tour of the camel farm is included in your stay along with introductions of the camel crew. A chance to pet and take pictures with the camels are also welcomed, once you’ ‘ve been formally introduced. While some may simply want to “ hide out” and enjoy their time on the farm, for those who seek to explore the area around, there are plenty of things to do and see in the San Luis Valley. And while the farm itself is surrounded by BLM land, ideal for on-your-own exploration, it’s worth venturing out beyond the farm. Enjoy a day’s drive along one of Colorado’s historic scenic byways – the Los Caminos Antiguos Scenic Byway. This expansive byway system uncovers the wide and vast landscape of the valley floor that was once the passage into Colorado for Spanish settlers and explorers coming in from New Mexico. 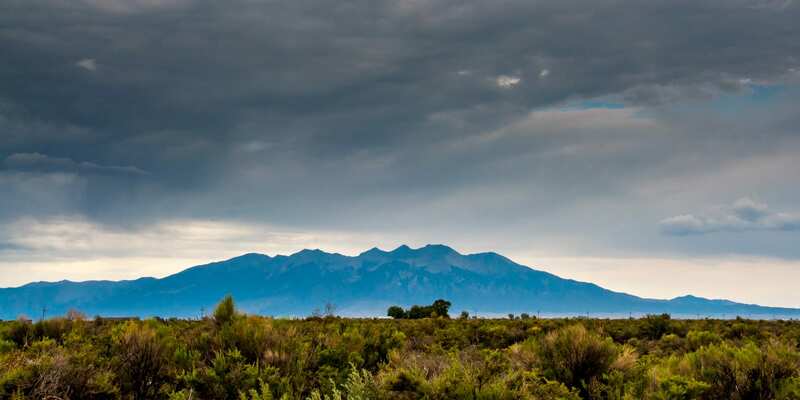 Drive through open lands, cross the Rio Grande, and take in views of the Spanish Peaks and majestic Mount Blanca. Because of its history, visitors will encounter some of Colorado’s oldest historic sites and towns like Colorado’s oldest town San Luis, the historic Rio Grande Scenic Railroad, Cano’s Castle in Antonito, Great Sand Dunes National Park, and Colorado’s oldest church. No matter how you choose to explore the San Luis Valley, make sure one of your stops is at the camel farm in Capulin, CO.